A man is in custody after he opened fire on a Road Ranger and another motorist in Broward then led police on a chase that ended in a crash in Miami-Dade late Tuesday, authorities said. The incident began around 11:15 p.m. when the Road Ranger spotted a disabled car along eastbound I-595 near Hiatus Road and pulled over to help, Florida Highway Patrol spokesman Sgt. Richard Glass said. As the Road Ranger approached the car, the driver, later identified as Jean Valeus, got out and told him to go away. Valeus then pulled out a gun and fired a shot into the pavement near the Road Ranger, who got back into his vehicle and drove to a safer location to call the FHP, Glass said. 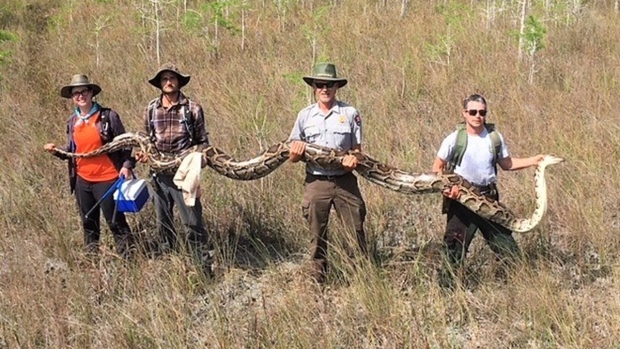 The Road Ranger was not injured, said a statement from the I-595 Express management. A man was arrested after authorities said he shot at a Road Ranger and another motorist then led police on a chase that ended in a crash in Miami-Dade. FHP spokesman Mark Wysocky comments. While FHP troopers were investigating the shooting, a second incident was reported on State Road 84 near the Davie Road Extension when a man said he heard a gunshot as he passed a slow-moving car which matched the description of the car involved in the Road Ranger incident. 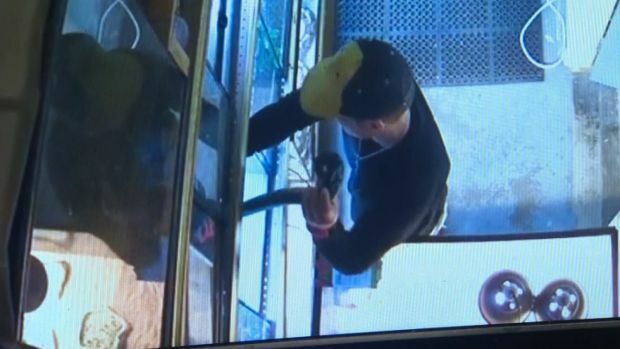 When the driver stopped at a gas station and looked at his car, he realized it had been grazed by a bullet, Glass said. A man is in custody after he opened fire on a Road Ranger and another motorist in Broward then led police on a chase that ended in a crash in Miami-Dade, authorities said. 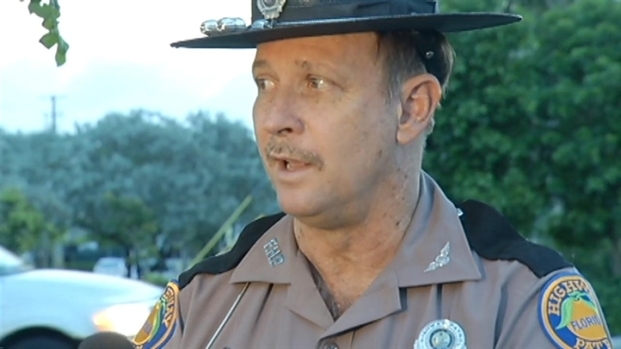 Florida Highway Patrol spokesman Sgt. Richard Glass comments. 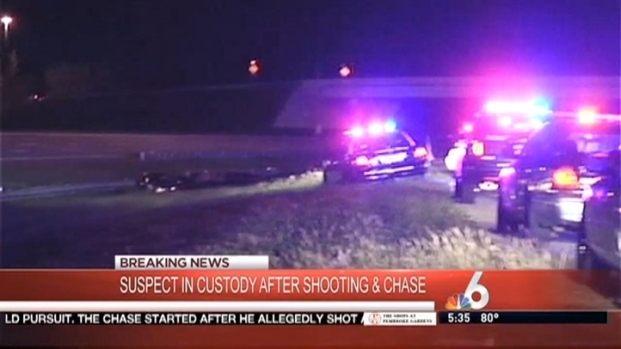 A short time later, Miramar Police spotted the suspect's car and a chase ensued along I-75 south into Miami-Dade and to State Road 924 eastbound, Glass said. Valeus made a U-turn and got back onto I-75 northbound but lost control and struck a guardrail near Northwest 138th Street. He briefly fled on foot but was caught with the help of a K-9 officer, Glass said. A woman was also discovered in the suspect's car and was taken into custody. The suspect was taken to Palmetto General Hospital for treatment for injuries. The FHP is still investigating the incident but said Valeus claimed he thought they were being followed. "We do know that they made a statement that they thought they were being followed," FHP spokesman Mark Wysocky said. "They didn't exactly say who. I don't have all the information on who they were being followed by but they said they thought they were being followed." It's unknown what charges Valeus will face. "Unfortunately, you never know what you're going to encounter out here, especially at night time," Glass said. "These Road Rangers, they're doing a public service by stopping and assisting motorists and they have to be attentive of what's going on just like the police and the tow truck companies out here."